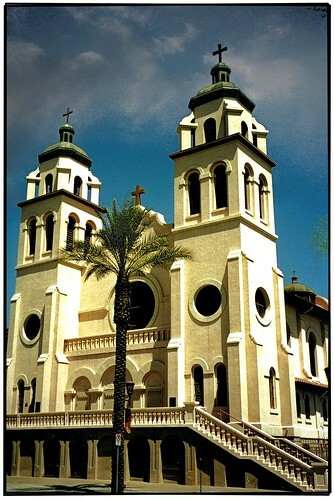 Saint Mary’s Basilica, officially named The Church of the Immaculate Conception of the Blessed Virgin Mary in the Roman Catholic Diocese of Phoenix, was founded in 1881 and staffed by the Franciscan Friars since 1895. The church was completed in 1914, dedicated in 1915, and listed on the National Register of Historic Places as St. Mary’s Church in 1978. The oldest Roman Catholic parish in the greater Phoenix, Arizona, area, it was the only Roman Catholic parish in Phoenix until 1924 and is home to Arizona’s largest stained glass windows collection. The Hollard Jura & Juma Will Be Good, Clean Fun, Thanks To Johannesburg City Parks & Zoo.